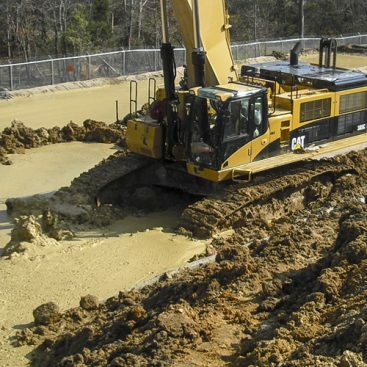 The term “funnel and gate” is widely used in the environmental remediation industry to describe passive groundwater collection / treatment systems wherein cutoff walls, i.e. the funnel, are used to guide groundwater towards a high flow barrier, i.e. the gate. Generally these systems are designed to operate passively such that the groundwater naturally flows towards the barrier system, follows the cutoff walls towards the gate, and passes through the gate without the assistance of active pumping or management. The length and orientation of the funnel wings is designed to capture the impacted groundwater plume and the thickness / hydraulic properties / reagent media of the gate are designed to remove contaminants as the groundwater passes through. Often the gate contains a reactive agent, commonly zero valent iron (ZVI), that treats the groundwater. Other alternatives include materials that remove the contaminants from the groundwater via adsorption or absorption processes, sometimes known as permeable adsorbent / absorbent barriers (PABs). One large application of these barriers is for the treatment of chlorinated solvent impacted groundwater. In this application, the barrier often contains ZVI which serves as a chemical reduction agent. 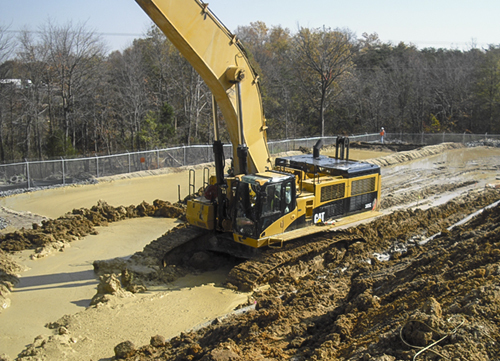 Geo-Solutions has numerous techniques to install the funnel and gate components of these systems, including soil mixing, slurry trenching w/ bentonite and polymers, jet grouting, and chain trenching. 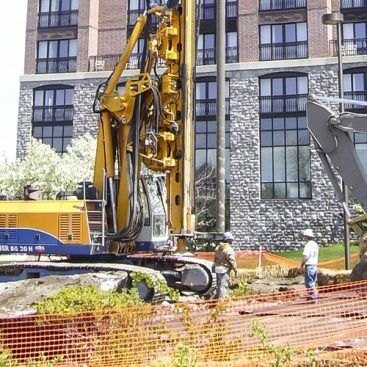 As one of only a couple providers that can install the funnel and gate using any conceivable methods, Geo-Solutions is uniquely positioned to help you select the best construction approach for your specific site conditions.